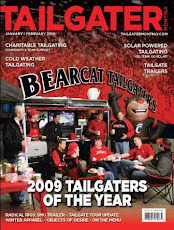 BearcatTailgater.com: Cure for the BK2ND Virus???? As the BK2ND virus continues to spread faster than the swine flu in a sorority house, Bearcat Nation is desperately seeking a cure. Will it come tonight at the football banquet? If not, Dr. NeumannKy is setting up a special clinic tonight in U.S. Bank Arena where symptoms can be temporarily relieved by watching the Bearcats Hoops squad lay the wood down on the Miami Redchickens! In other news: In just over 3 days and 1 hour of public sale, UC has SOLD OUT its allotment of Sugar Bowl tickets! How is that for showing what Bearcat Nation is made of! Take that Dantonio!